The market is hot – as ever! A few weeks ago we acquired our newest project, a bungalow in Hamilton that we plan to duplex (aka create a basement apartment). Along with a partner, we also acquired a similar styled property in Oshawa. We were in a bit of a bidding war on both properties (which seems to be the norm these days). Why do we choose to do this – well to create cash flow primarily. In today’s market, with the rising price of real estate (even in markets like Hamilton and Oshawa) it is becoming increasingly difficult to have positive cash flow. With the addition of a basement apartment, we are able to greatly increase our rental income and create a much more desirable product – for a homeowner or an investor. Something to note: most of the basement apartments you currently see in the market are NOT legal. Even if they advertise as a two family dwelling, the majority of them have not gone through the process to legalize them. And speaking from experience, it is much more costly and difficult to legalize something existing rather than create something from scratch that meets all requirements. The legalization process involves getting permits, and following the Ontario Building Code – but we believe this is the right way to do it! It can be more expensive, as the timeline is often restricted by various permit processes and inspections, and the requirements are more intense. Check out the before pictures of the property in Oshawa as we undergo demolition! So here we are at the start of a project, and the first step is to obtain City permits. In my ideal world, I like to do this before the project even starts – lucky for me both these properties were vacant and I can arrange to have someone come in with me during my allocating viewings to get this done. The person who does my drawings has to have a valid BCIN number and there are many people who have expertise in this area. 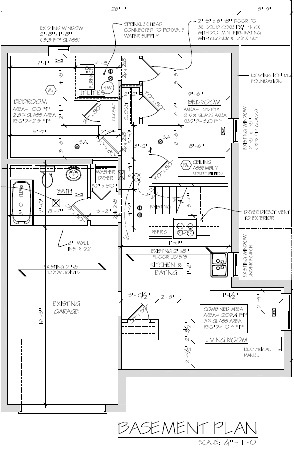 They will work with me to create an optimal layout for the basement and provide me with drawings that I can submit to the City in order to obtain my permits. We are now in full swing on our Oshawa project, and even have the permits approved. In the meantime, I am working on drawings and getting my basic trades lined up so that as soon as my Hamilton property closes, we are ready to apply for permits and too much time is not wasted. Remember, time is money! I will continue to document my journey, and share costs and insights. Until then – happy investing!